All for Naught tells the story of Richard Melmont, a billionaire many times over. His wife Maria, daughter Barbara, and son Daniel are appalled by his cutthroat methods and even more appalled by the weapons system he is developing. Is he deliberately deceiving government officials, bankers, and the general public, or is he deceiving himself? 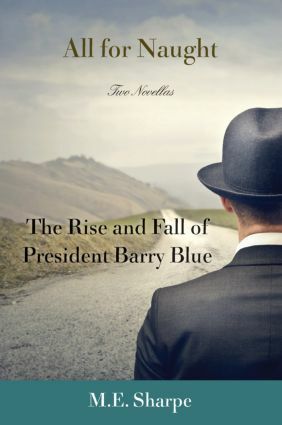 In The Rise and Fall of President Barry Blue, an experienced White House correspondent is trying to sort through contradictory insider accounts to get a true picture of an elusive president. Traces the evolution of American popular culture over the past two centuries. In a lengthy chronology of landmark events, and ten chapters, each revolving around the lives of two individuals who are in some way emblematic of their times, this provides a window on the social, economic, and political history of US democracy from the antebellum period to the present.